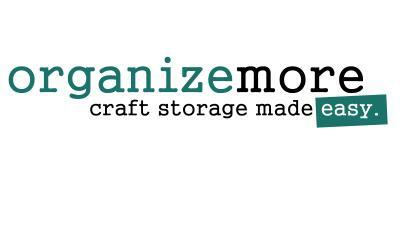 Hello there crafty friends! Today is Day 4 of the MFT September Release Countdown! I had to throw a pumpkin in the mix with today's card. I can't believe its almost fall! To create this card, I scored the card base according to where I stamped that beautiful sentiment from the new set called Fall Friends. I did a few random lines and the colored up 3 of the little pumpkin images and added them to the circles dies hat were cut from the Circle Trio Shaker Window die. Definitely a quick and easy fall card here today! 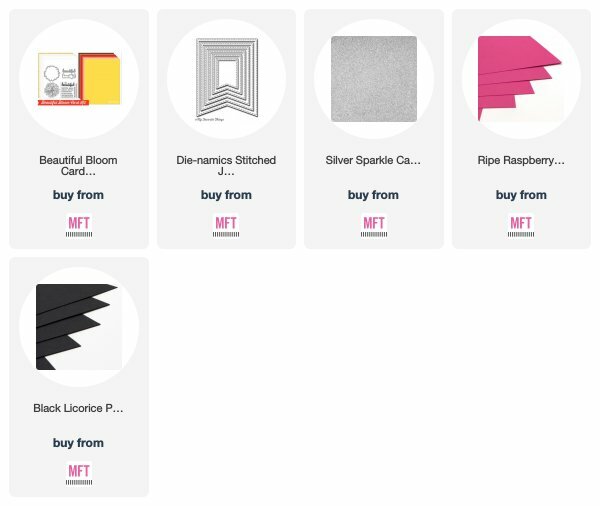 Check out more sneak peeks over on the MFT Blog! Stay tuned for more this week. Have a great day! Welcome to Day 5 of the MFT September Release Countdown! 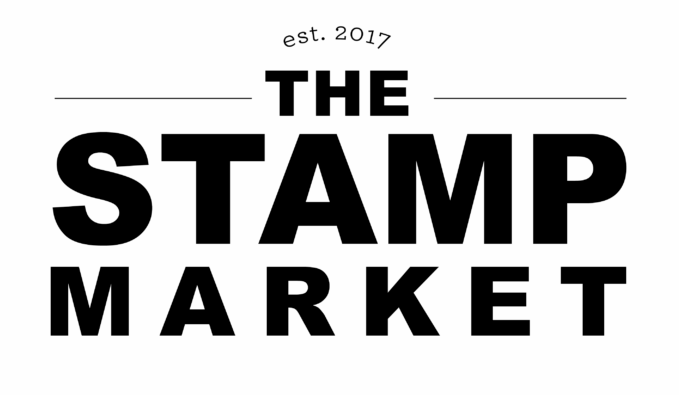 Today I am stopping in with a quick and simple card using the September Freebie! 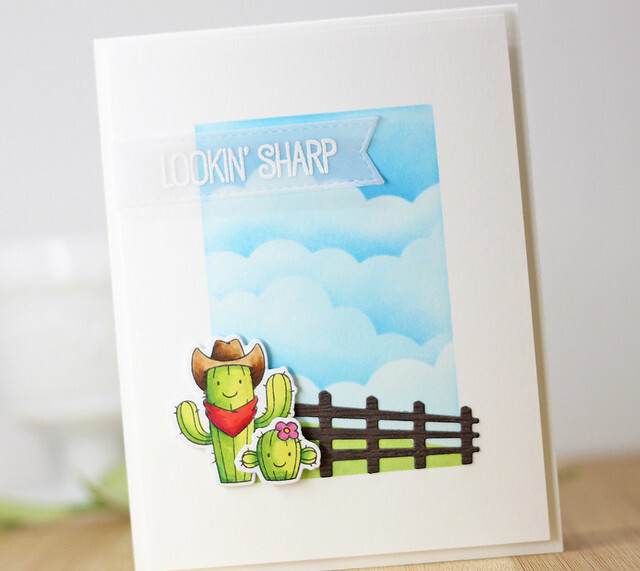 These little cactus stamps are SO cute and so fun to use! To create this card, I stamped the pot. 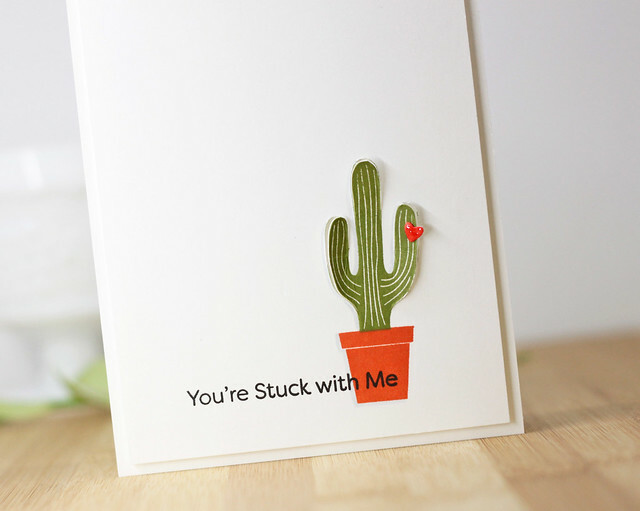 the cactus and the sentiment on the card front. I added a little light gray copic shading around the cactus and then went in with a craft knife and cut out the tops of each, tilting them out just a little for some dimension. 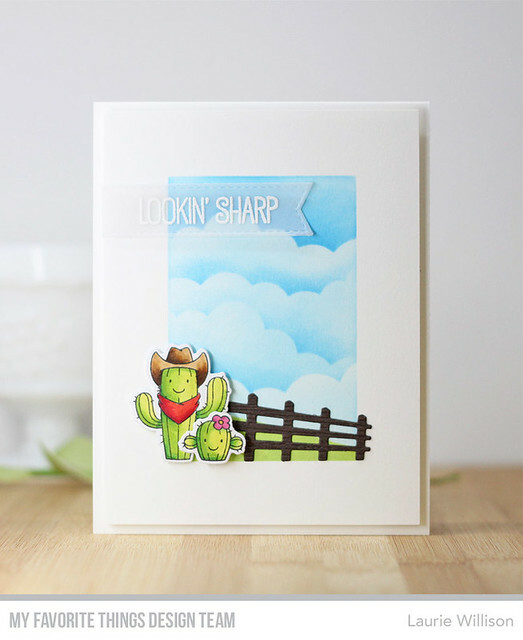 Last, I added in a little heart die cut on the cactus. Super simple! Check out the MFT Blog for more info on this months release. Everything you see this week will be available on Tuesday, September 4th at 9am CST! This card was so simple to make! 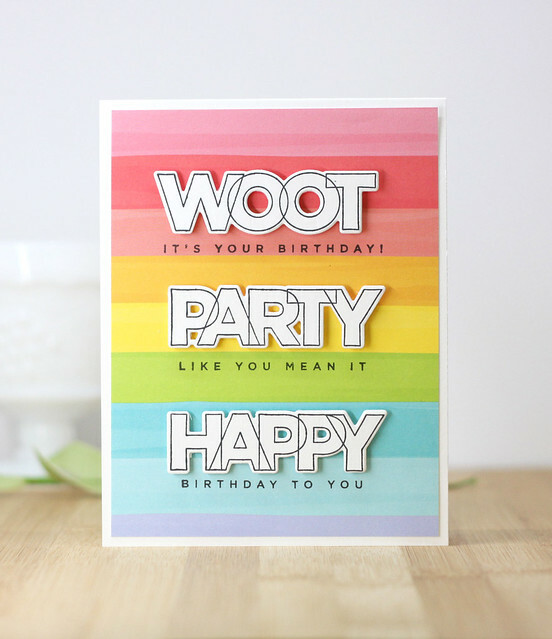 I cut banners out of rainbow colors and then attached them to the top of the card. I added a little sparkle but placing some glittery washi along the top. To finish off the card, I stamped the sentiment along the bottom of the banners. Easy peasy! Head on over to the MFT Challenge Blog to play along! Have a great week and thanks for coming by! 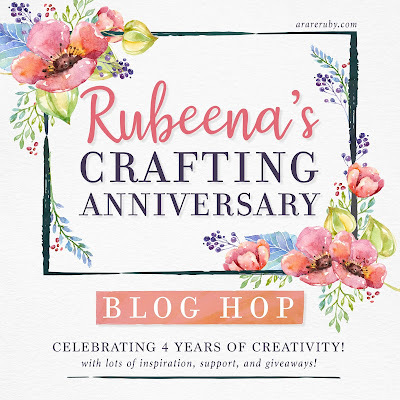 Welcome to Rubeena’s Crafting Anniversary 2-Day Blog Hop! This hop is epic with more than 60 guests and over $600 in sponsored prizes! Not only are we celebrating four years since Rubeena first discovered cardmaking but also crafting in general. This industry is made up of wonderful individuals who are creative, inspirational, kind, and incredibly supportive! Hop along so you can learn about why we create and how much joy it brings us! For details on day one of the hop, you can visit this post. If you are following along from the beginning, you have stopped in her from Tania Ahmed's blog. I have been making cards and blogging now for 11 years so I know how fun it is to hit an anniversary! I have loved this community and all the friends I have made along the way. I am so honored to join Rubeena here today, to celebrate her crafty anniversary! 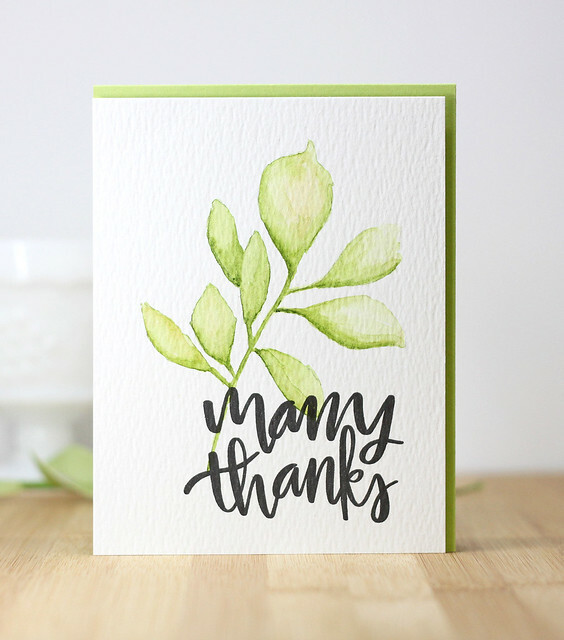 To create this card, I used the Stemmed Leaves Die from The Stamp Market to trace out the leaf image in light pencil. Then I did some watercoloring to fill in the lines. This was totally now for me! I had some crafty friends right by my side when I attempted this one. To finish off the card, I stamped that gorgeous sentiment in black ink and then popped the watercolor card front up on fun foam on the green card base. 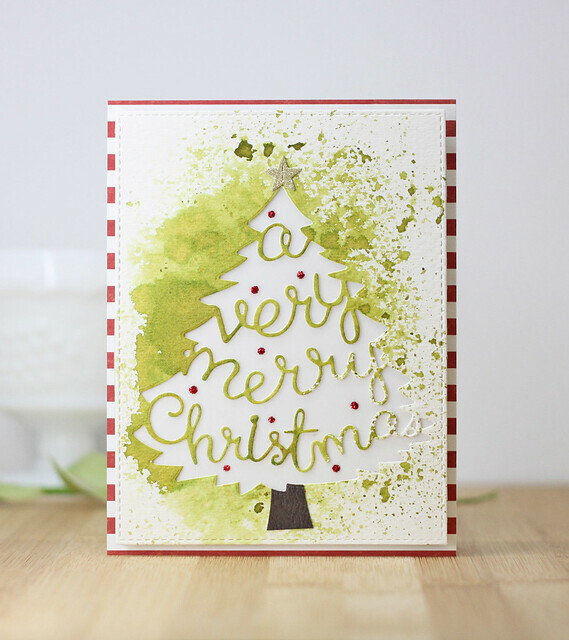 To create this card, I cut a piece of that gorgeous paper and lined the card base. 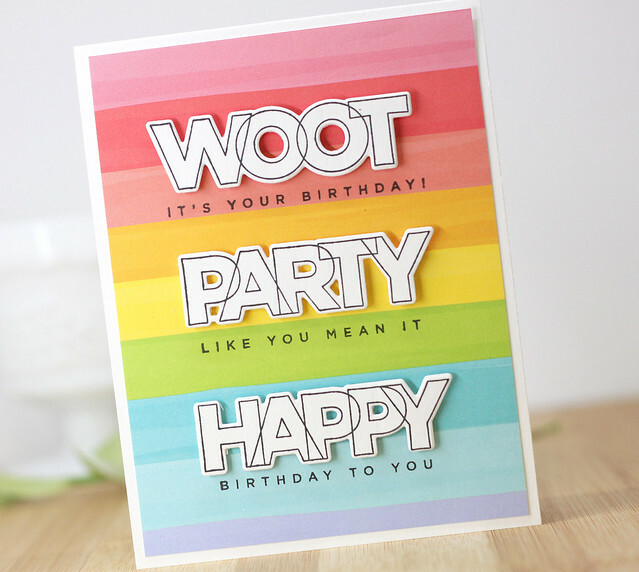 I stamped and die cut the happy, party and woot in white cardstock and then popped them on on the card front. 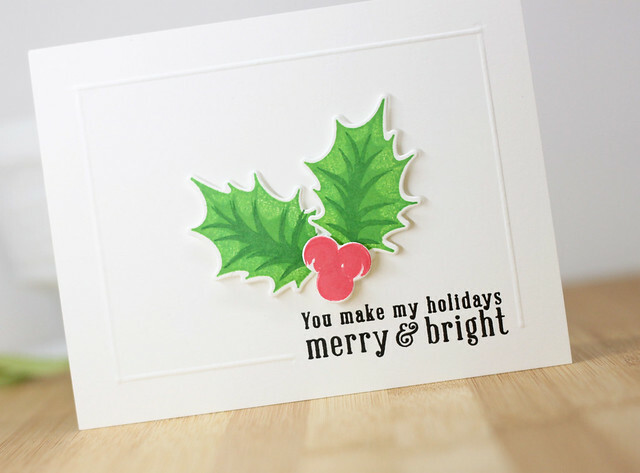 Last, I went in with the coordinating sentiments and stamped them directly under each die cut. Clean and simple! My favorite kind of card! Here is a list of the amazing sponsors for the hop! Thank you so much for coming by today! I appreciate your visit. Have a great day! Time to head west, crafters! Our team of intrepid designers is embarking on an adventure exploring our assortment of western-themed products. 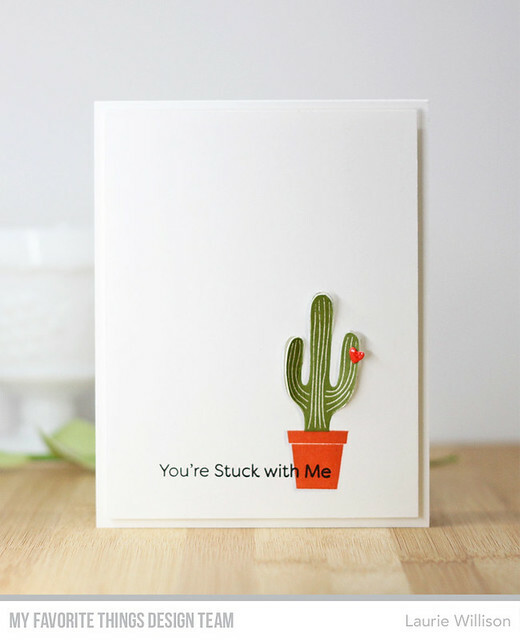 You’ll find everything from adorable characters from Birdie Brown’s Saddle up & Celebrate to desert-dwelling critters and heat-loving cacti. Grab your hat, grab your spurs…we’re hitting the trail. 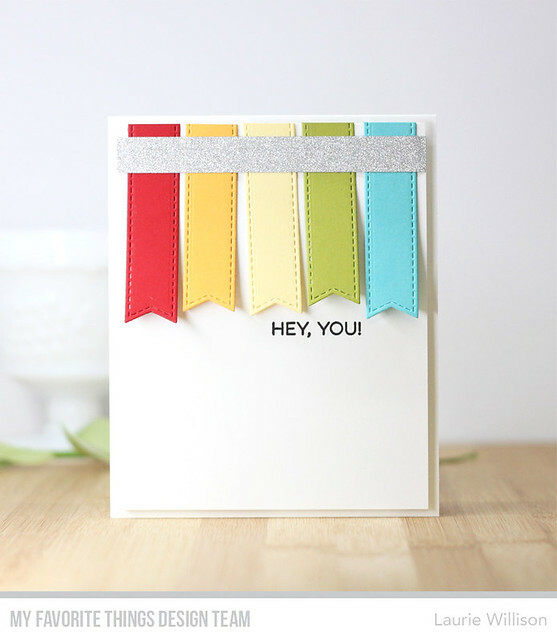 I created a quick and easy scene using this adorable set called Saddle Up and Celebrate. To create this card, I masked off the card front with 1" painters tape. I used the Cloud Stencil in the background and the used the Drifts and Hills Stencil along the bottom. Next, I die cut the fence out of brown cardstock and added that along the bottom. I colored up those adorable Cactus images and die cut them. I added them to the card front with foam tape for some dimension. 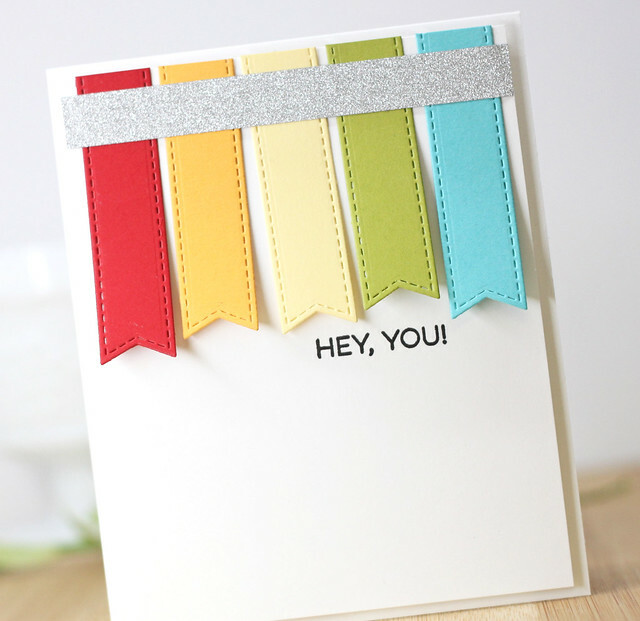 Last, I heat embossed a coordinating sentiment form the set onto a vellum banner and added that to the card front. I popped the whole front up on fun foam and then added it to the card base. 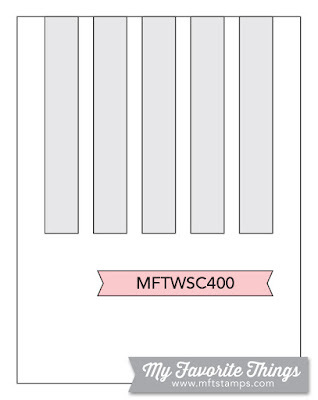 Check out what the rest of the team has created for today by stopping over to the MFT Blog. So glad you stopped in today! Hello! So glad you stopped in today for the 2018 Seasons of Wonder Blog Hop! The latest Hero Arts Winter Catalog is here and I am hopping along with some amazing ladies to share the newest products. If you are following along on the hop, you made it here from my sweet friend Libby's blog. 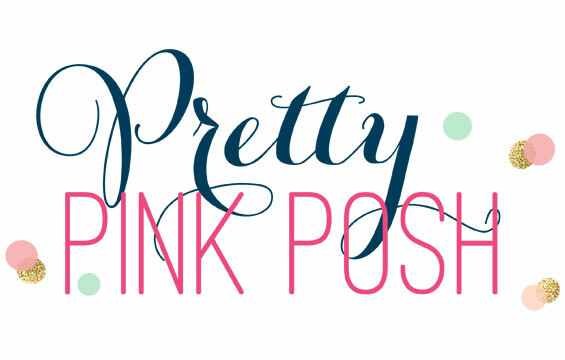 To see the whole blog hop list, scroll down! To create this card, I did a little Distressed Watercolored background on some watercolor paper. I die cut the tree right in the middle of the watercolored area and left the negative to be my main focus. 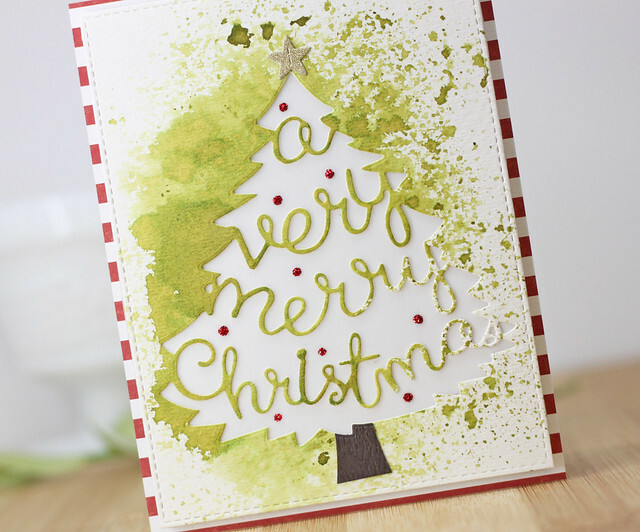 I wanted to stablilize the tree so I added a piece of vellum behind the die cut. I added in some red Stickles for a little tree decoration. I topped the tree off with a gold glitter card stock star and the popped the card up on the card base layered with red striped card stock. To finish off the card, I added in a little brown tree stump. 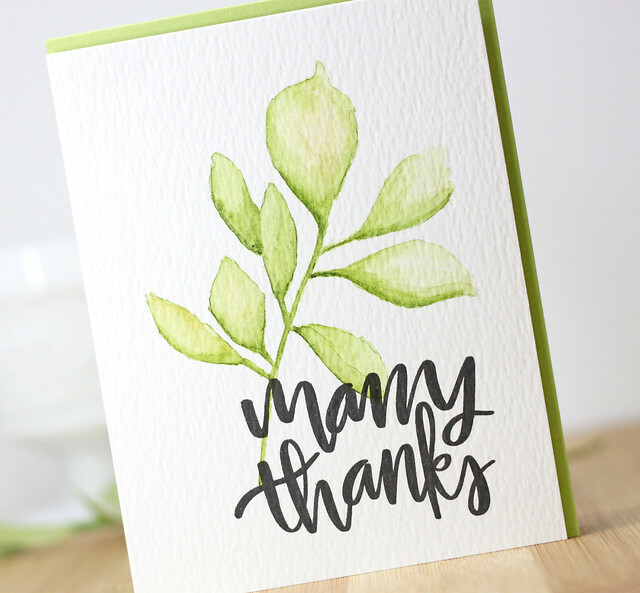 To create this card, I stamped and die cut the holly leaves with the inks that come in the Color Layering Bundle. 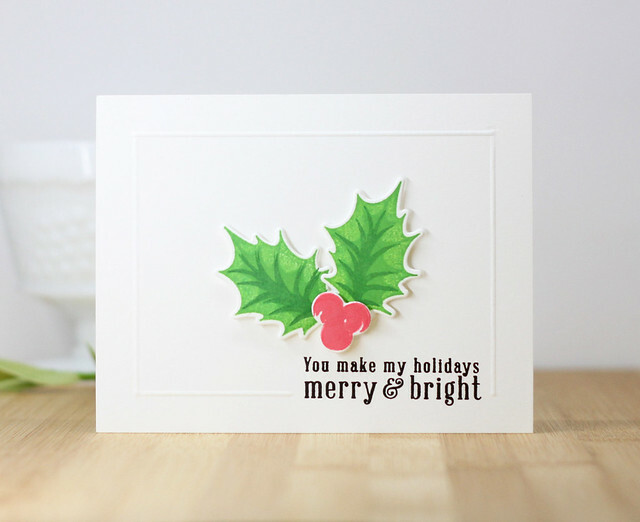 Next, I stamped and die cut the holly berries. I stamped the sentiment on the bottom of the card and then scored a frame around the edge. I popped up the holly on the front of the card to finish it off. Nice and simple! I hope you have enjoyed my cards today. The next stop on the hop is over to the amazing Kelly Latevola! There will be 2, $50 shopping sprees given for the Hero Arts online store. The winners will be randomly chosen from comments left on all the stops along the hop. Winners will be chosen by 11:59pm PST on Sunday, August, 26th. Thanks for stopping in today! 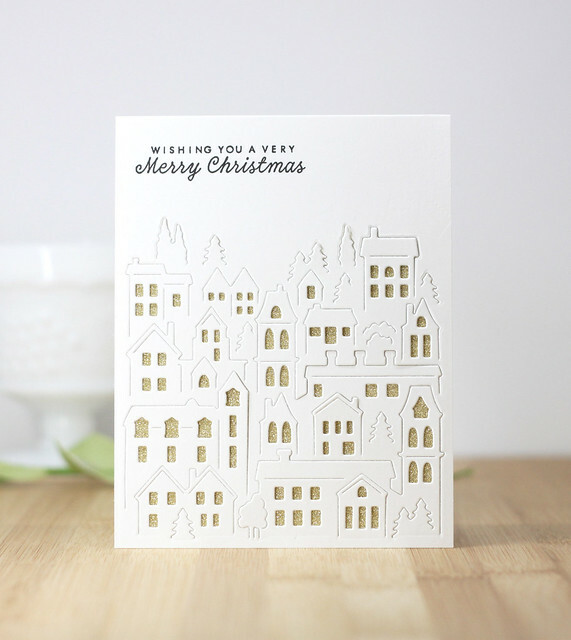 I hope you are leaving with some clean and simple inspiration for your Christmas cards! Hello there! 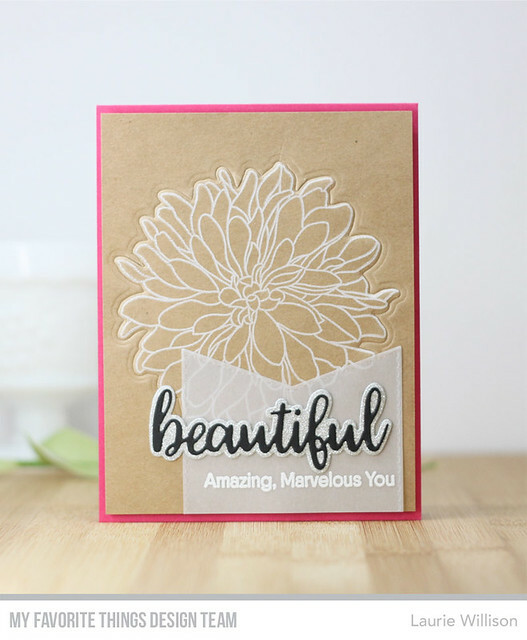 Today is the MFT August Card Kit Release Day! 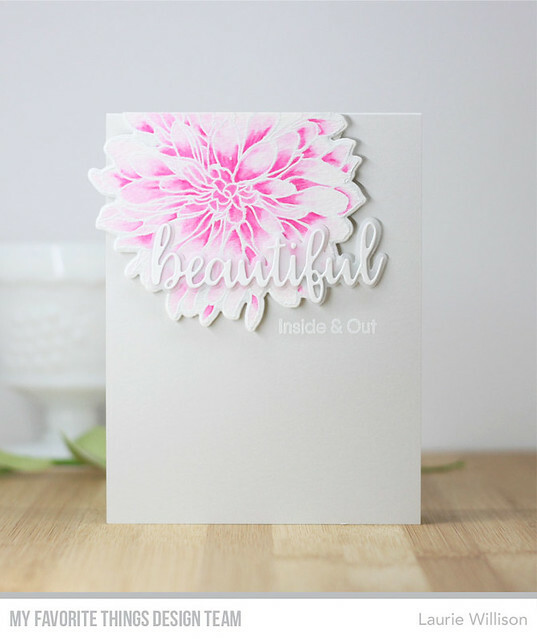 The kit called Beautiful Bloom is an amazing kit with a gorgeous bloom, a sentiment set, the beautiful die and shadow die and several gorgeous papers included. 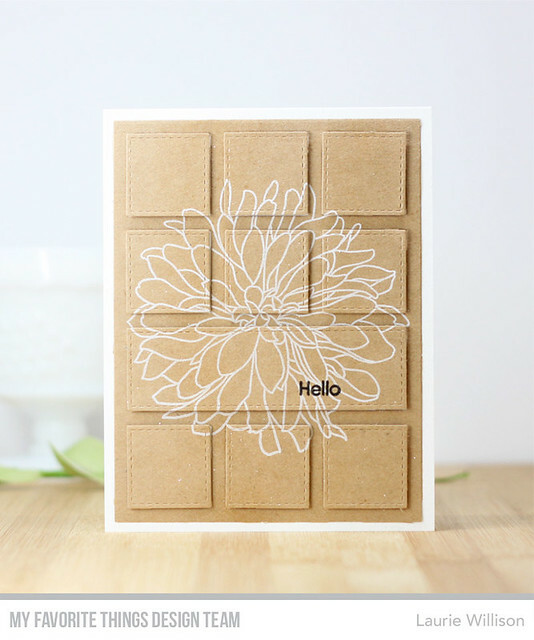 To create this card, I stamped the bloom in white ink on the kraft paper. Next, I used the Collage Cover-Up to die cut the entire card front. I added the negative to the card front and then popped up all the stitched panels with foam tape. I added a simple hello from the kit stamp set and then sprayed the whole thing with silver Glitter Dust for some sparkle. 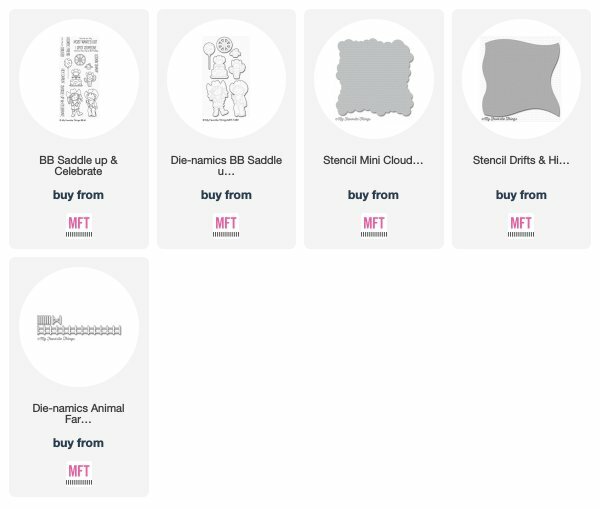 Head on over to the MFT Blog to learn about this months kit and to grab one of your own. Thanks so much for stopping by today! 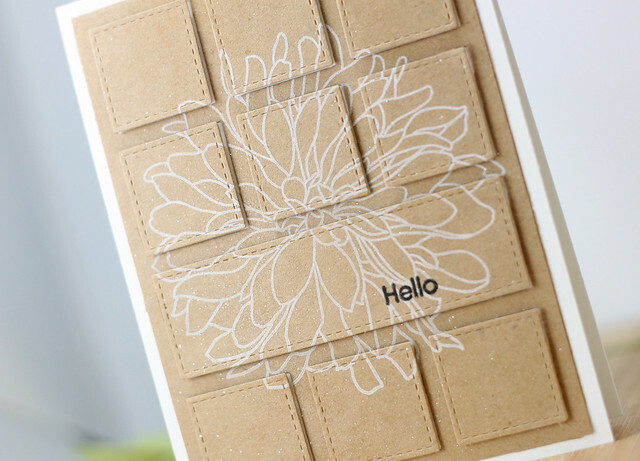 To create this card, I stamped the bloom in white ink on a piece of kraft paper. Next, I used the bloom die to emboss around the bloom. I attached the kraft card front onto a Ripe Raspberry card base by using fun foam to pop it up. 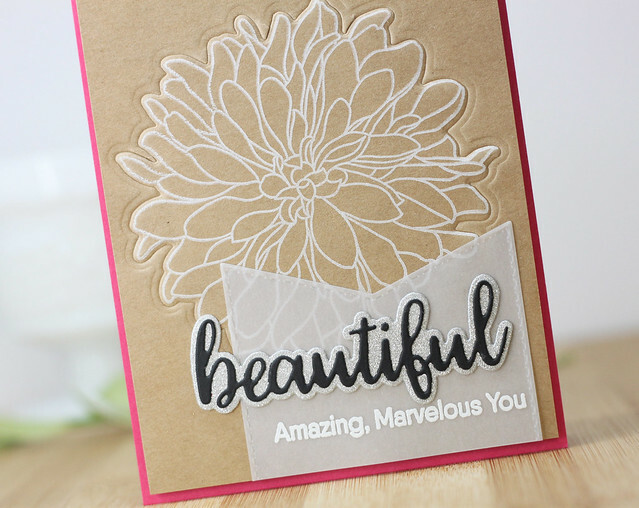 Next, I die cut a vellum banner and heat embossed "amazing, marvelous you" on the bottom and attached it to the card. I die cut "beautiful" in black card stock and the shadow die in silver glitter cardstock and then added that to the vellum panel to finish off the card. There will be lots more to see on this countdown. Check out the MFT Blog to see more! Thanks so much for coming by today! 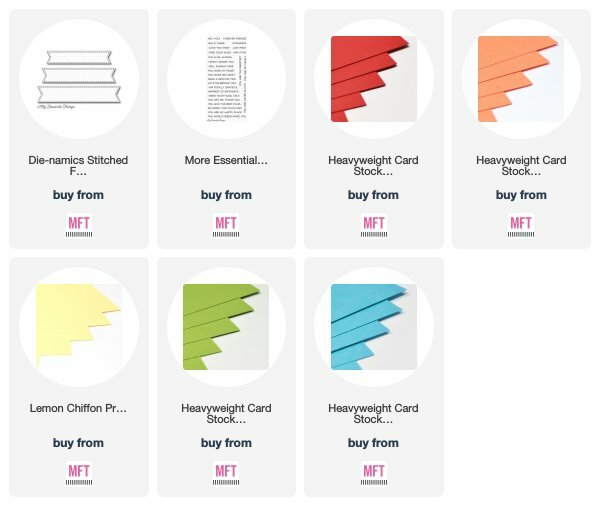 Welcome to day 1 of the MFT Card Kit Countdown. This months kit is a beautiful one (no pun inteneded hehe!) and includes a gorgeous bloom, a sentiment set and a word die that I adore! 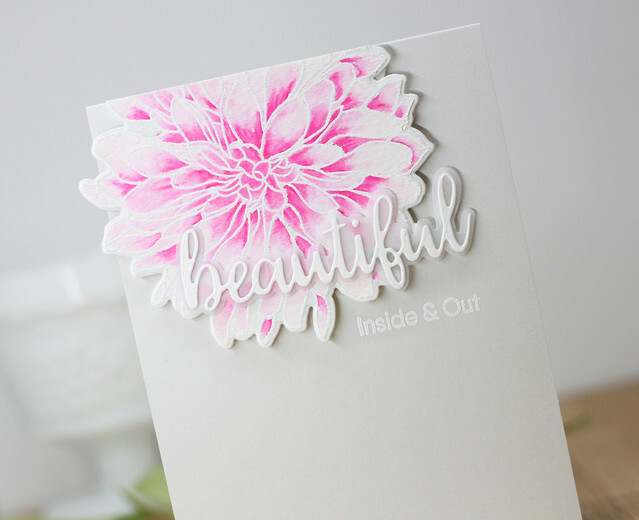 To create this card, I stamped the bloom on watercolor paper and heat embossed it with white embossing powder. I used my Zig Markers to color in the petals with the bold pink. I die cut the bloom and added it to the top of the card. I die cut the sentiment in white and then did the outline die in vellum. 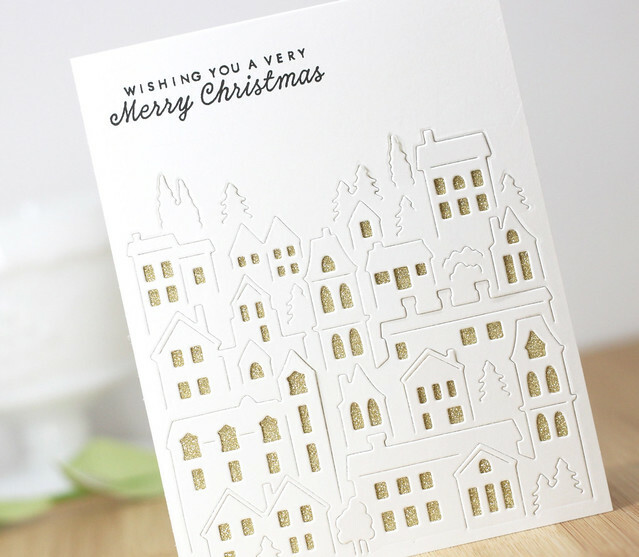 To finish off the card, I heat embossed the "inside and out" in white embossing powder right on the gray card base. The kit will be available on Tuesday, August 21st at 9am CST. I will be back with another countdown day tomorrow. 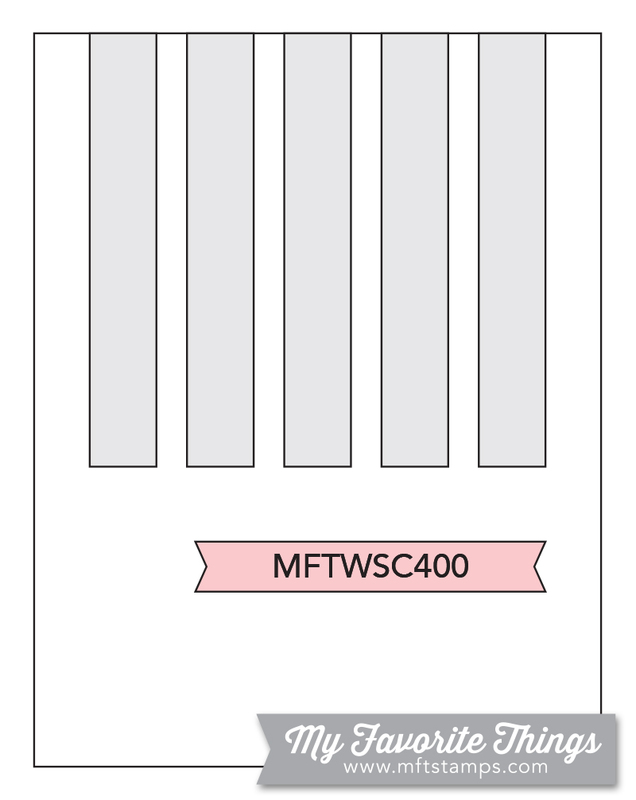 Head on over to the MFT blog to see what the rest of the Design Team has created for today. Thanks so much for stopping by!